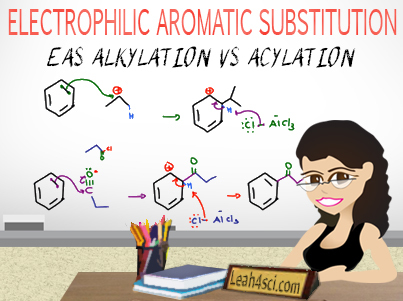 This video shows you a comparison of the Friedel-Crafts alkylation and acylation reactions, including the limitations of FC alkylation, and how to convert an acylation product to the reduced alkyl version. This is Video 8 in the Electrophilic Aromatic Substitution Video Series. Click HERE for the entire series.